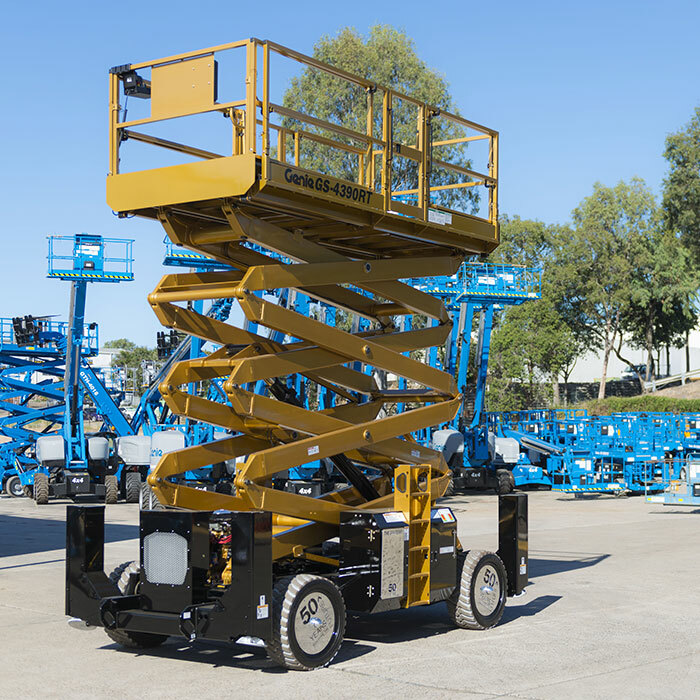 The refurbished 10-year-old scissor lift was unveiled at the Genie Annual Customer Appreciation Night held on Queensland’s Gold Coast in early May 2016. 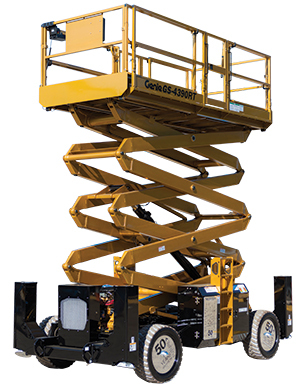 The scissor lift was piloted by Genie’s own version of “The Stig”, the helmeted anonymous test driver of “Top Gear” fame. 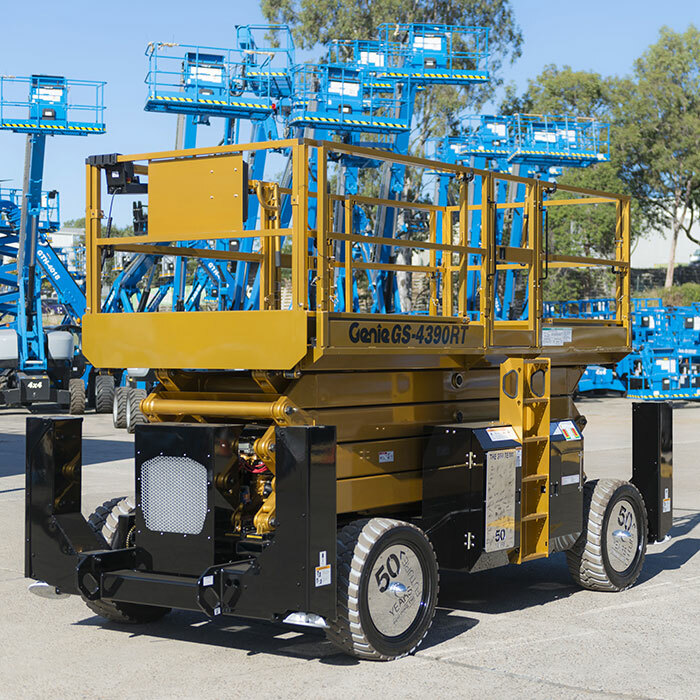 In total, 61 members of the Genie team across Australia were involved in rebuilding the scissor lift. 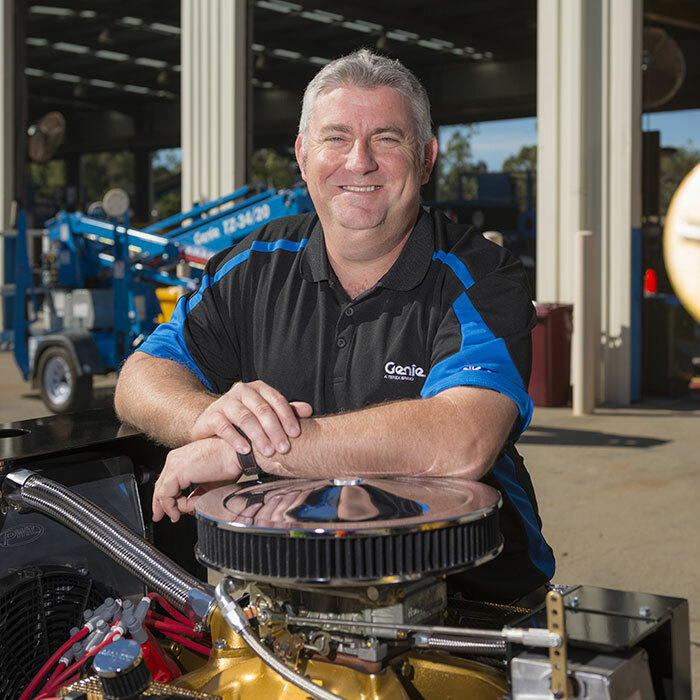 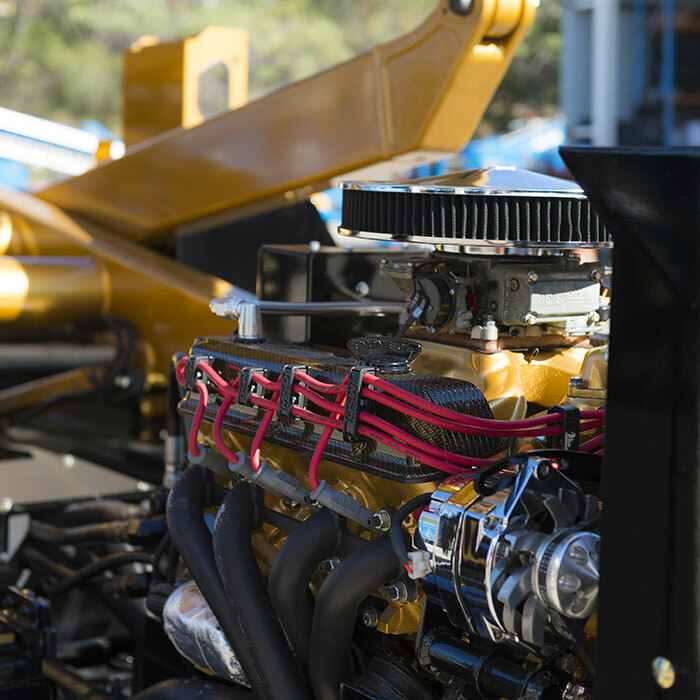 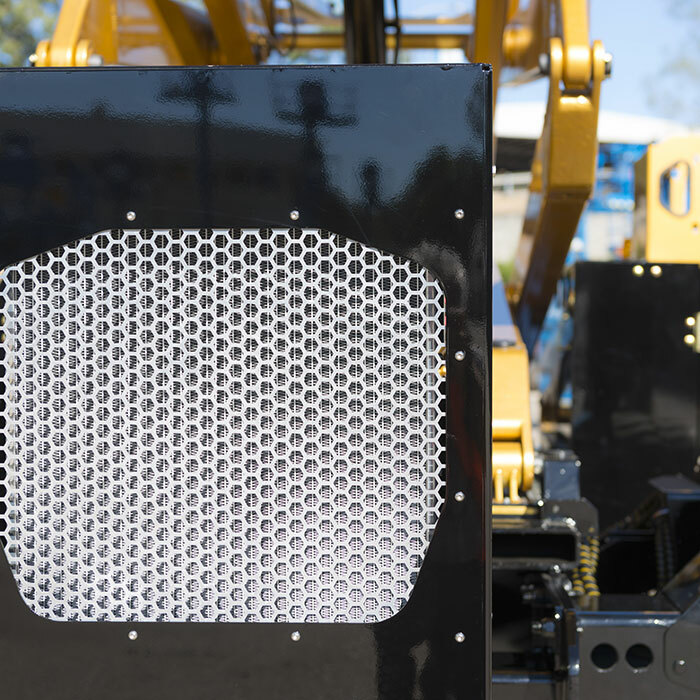 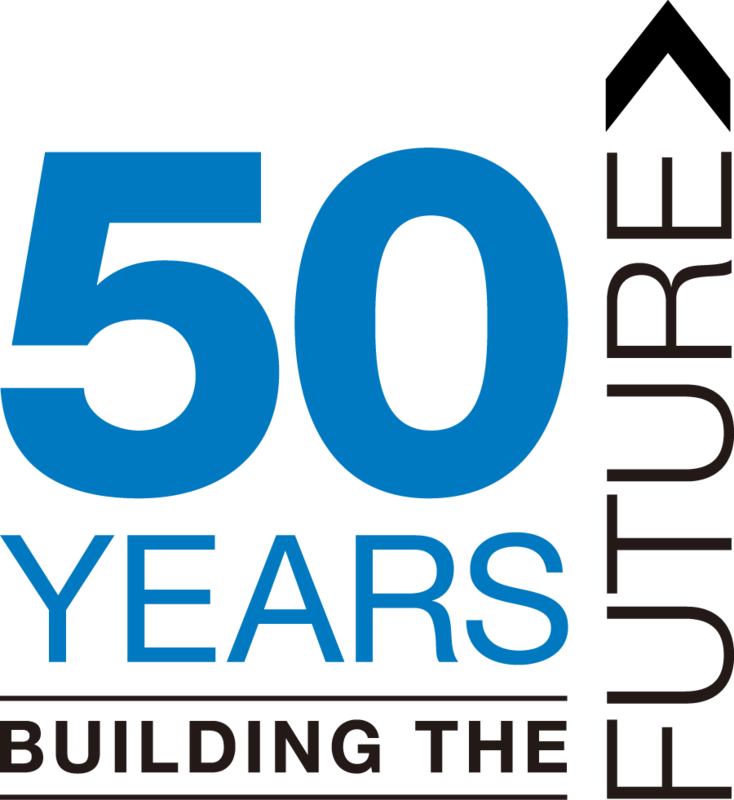 “The machine started in Melbourne, where the team disassembled it, while the team in Sydney reconditioned the impressive scissor stack,” said Ely. 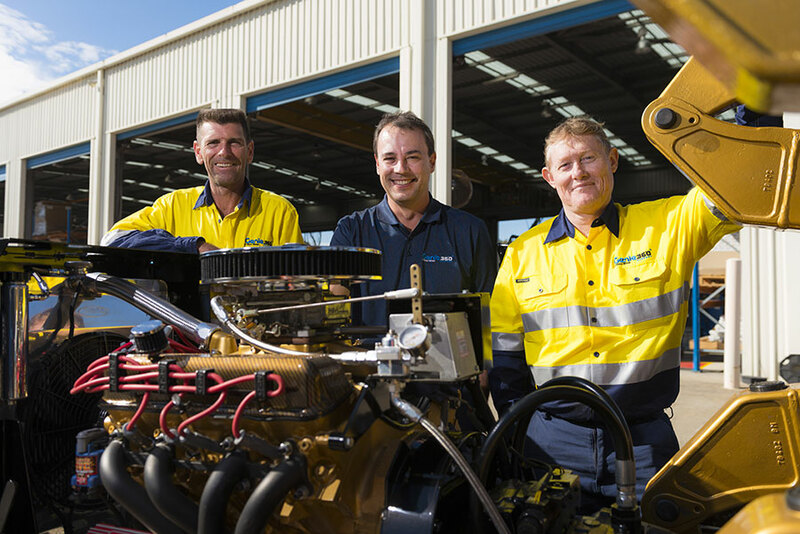 “The team in Adelaide built the amazing wheels and the Perth heavy maintenance team assembled the engine. 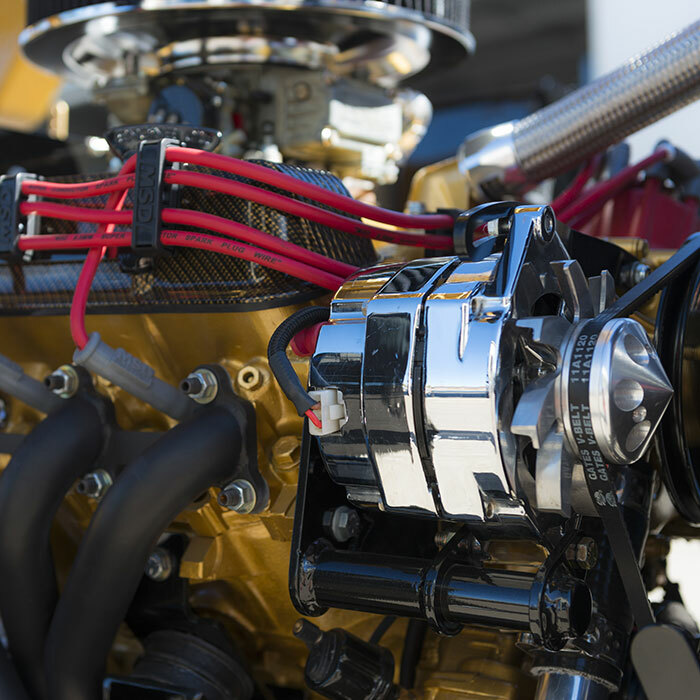 Ely said he expects the golden Genie GS- 4390 RT to be a massive hit in the United States. 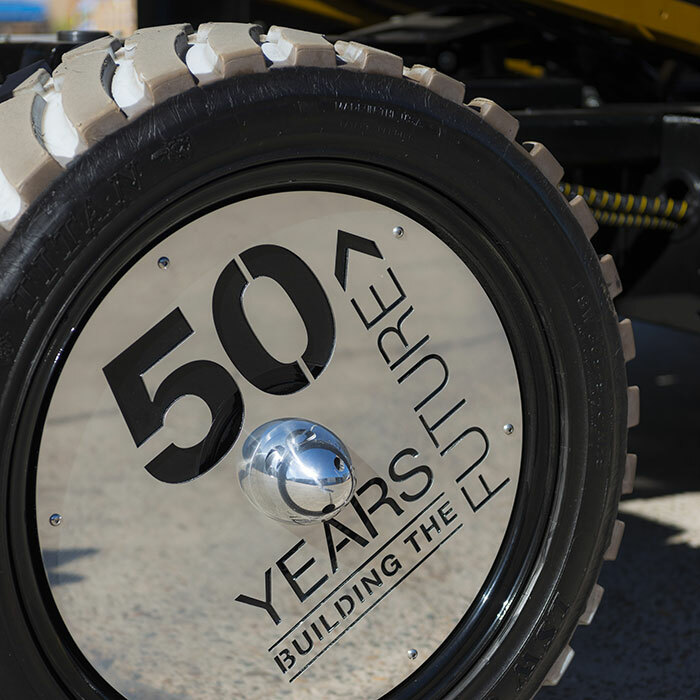 “Anyone with petrol or engineering in their veins will be drawn to this machine, which celebrates the 50-year journey of Genie,” he said. 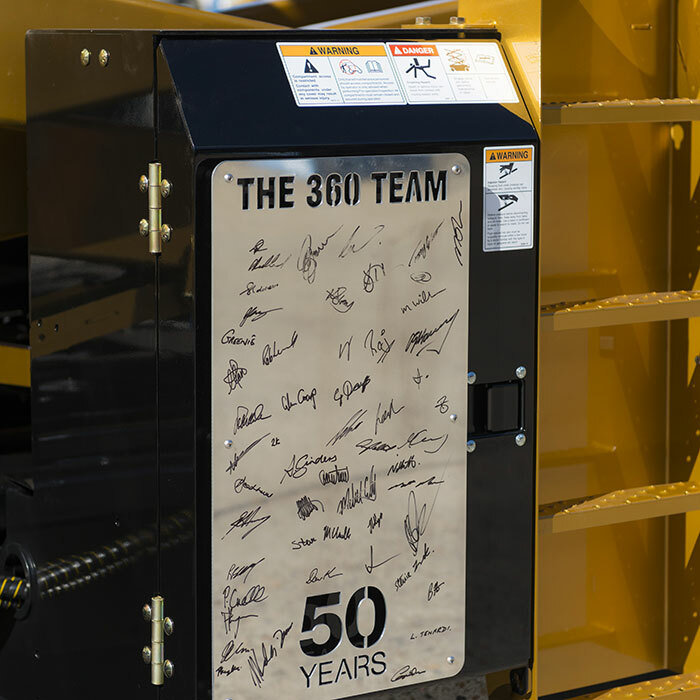 “For me, it has been an honour and privilege to lead the teams that have rebuilt this machine and I look forward to the global response,” said Ely.